It was love at first glimpse… orderly valves that kept blood flowing in one direction, elegant sweeping vessels feeding that perseverant muscle, relentlessly rising to the needs and challenges of the body. A system with clear signals for help: blood pressure, EKGs, blood tests and rapid responses to medical interventions. Working in the CCU after graduation could not have been a better fit! Eventually my interest shifted from crises intervention, to education and prevention. Growth in my career brought me the realization that, although fighting heart disease one patient at a time was rewarding, being involved in professional organizations brought a broader perspective, new skills and directions and a chance for wider impact. The local chapter of the American Heart Association gave me the opportunity to meet an inspiring mentor who taught me to be generous, to practice with knowledge and integrity (evidence-based practice was not invented yet! ), and that what we do as nurses is important. Kathy Berra was (and is) that mentor and through her I discovered my life passion for cardiac rehabilitation. As the Lipid Nurse Task Force transformed to the Preventive Cardiovascular Nurses Association, there was finally an organization focused on what we do best: empowering people with heart disease with knowledge and skills to reduce further cardiovascular complications. Conferences provide inspiration, knowledge and practice tips. Patient education materials mirror and reinforce the work we do to help our patients understand how and what to change. For new staff coming in to our community-based cardiac rehab program, the requirement is to join PCNA. Through PCNA I have had the greatest opportunities for professional growth and satisfaction. 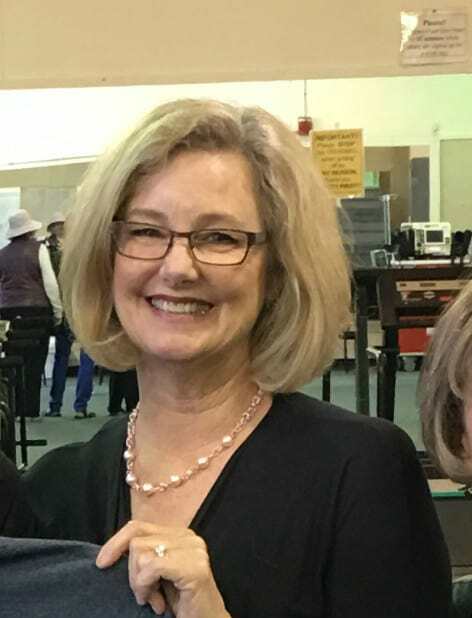 PCNA has challenged me to stay vital and current, and has honored me by accepting posters, awarding me with the Terry Thomas Clinical Practice Award (along with my most amazing colleague, Robin Wedell) and expanded my leadership skills as the Northern California Co-Chapter Leader for 10 years. I am proud and grateful to have had my life’s work acknowledged when I was inducted as a PCNA Fellow. PCNA has given me solid roots in evidence-based practice and wings to grow in leadership positions. But my greatest rewards come from working with patients. After 30+ years, I still love hearing their story: the distress signals from their heart and their precipitating risk factors. And then refocusing them forward, towards best practices for continued health. Whether problem-solving how to remember to take their medications, establishing a safe intensity of exercise, integrating healthy coping practices, strategizing ways to reduce saturated fat and refined carbs, or identifying reportable symptoms, it is my privilege to share their lives, their challenges and their successes. My advice to new nurses? Be present and mindful everyday with your patients. Surround yourself with generous colleagues who are forward-thinking and detail-oriented, but not at the expense of the big picture. Don’t get so caught up in what is urgent, that you don’t attend to what is important.